I chair the Board of Directors of IPTC, a consortium of news agencies, publishers and system vendors, which develops and maintains technical standards for news, including NewsML-G2, rNews and News-in-JSON. I work with the Board to broaden adoption of IPTC standards, to maximize information sharing between members and to organize successful face-to-face meetings. We hold face-to-face meetings in several locations throughout the year, although, most of the detailed work of the IPTC is now conducted via teleconferences and email discussions. Our Annual General Meeting for 2016 was held in Berlin in October. As well as being the time for formal votes and elections, the AGM is a chance for the IPTC to look back over the last year and to look ahead about what is in store. What follows is my prepared Chairman’s Report at the AGM. It is clear that the news industry is experiencing a great degree of change. The business side of news continues to be under pressure. And, in no small part, this is because the technology involved in the creation and distribution of news continues to rapidly evolve. However, in many ways, this is a golden age of journalism. The demand for news and information has never been higher. The immediate and widespread distribution of news has never been easier. The IPTC has been around for 51 years. I’ve been a delegate to the IPTC since 2000 and Chairman of the Board since June 2014. I’d like to give my perspective on the changes going on within the news industry and how IPTC has and will respond. IPTC is rooted in – and foundational to – the news industry. Our open source standards for news technology enable the operations of hundreds of news and media organizations, large and small. IPTC standards are instrumental in the software used to create, edit, archive and distribute news and information around the world. We are starting to evolve the scope of our work beyond standards – such as via the EXTRA project to build an open source rules-based classification engine. Much of what we do is relevant to not only news agencies and publishers, but also to photographers, videographers, academics and archivists. By bringing together these diverse groups, we can not only create powerful, efficient standards and technologies, but also learn from each other about what works and what does not. We’ve introduced quite a bit of change within the IPTC since I’ve become Chairman and that has continued over the last year. We’re extending the reach of the IPTC, both by working with other organizations (including PRISM, IIIF, WAN-IFRA and W3C). But also by engaging in new types of work such as EXTRA and the Video Metadata Hub, which are not traditional standards but are open source projects for the benefit of the community we serve. Since I’ve become Chair, we’ve renewed our efforts to communicate the great work that we do. You can see a big uptick in our engagement via Twitter and LinkedIn, as well as by refreshing the design of our the IPTC website. Plus we’re doing a lot more work “out in the open” on Github. We’re continuing to streamline the operations of the IPTC. We’ve simplified our processes to better reflect the ways we actually operate these days. For example we have dramatically reduced the number of formal votes we take. But we still have sufficient process in place to ensure that the interests of all members are protected. For 2017, we have decided to have two-plus-one face-to-face meetings, rather than our usual three-plus-one. We will hold two full face-to-face meetings (one in London, the other in Barcelona), plus our one day Photo Metadata conference in association with the CEPIC Conference in Berlin. This will allow us to intensify our work on the meetings, with more ambitious and compelling topics and speakers. As I said, we’ve been changing our processes, particularly for the face-to-face meetings. But what else could we do to simplify our processes whilst at the same time ensuring that there is a balance between the interests of all members? Are there ways for the IPTC to deliver more value to the membership? How do we continue to balance our policy of consensus-driven decision-making with the need to be more flexible and nimble? IPTC is a membership-driven organization. Membership fees represent the vast majority of the revenue for our organization. As the news industry as a whole continues to feel pressure – including downsizing, mergers and, unfortunately some members going out of business – the IPTC is experiencing downward pressure on its own revenue. So, we are working on ways to reach new members, whilst at the same time ensuring that existing members continue to derive value. We’re also open to exploring new ways of generating revenue which fit with our mission – let us know your ideas! What new areas should the IPTC focus on? Many journalists are experimenting with an array of technologies – Augmented Reality, Virtual Reality, 360 degree photos, drones and bots, to name but a few. And let’s not forget about the “Cambrian Explosion” of technologies related to news and metadata on the Web, including AMP, AppleNews, Instant Articles, rNews, Schema.org and OpenGraph. How can IPTC help – negotiating standards? Developing best practices? Navigating the ethics of these technologies? If you’re happy with the IPTC, then please tell others. If you’re not happy, then please tell me! Without you, the members of IPTC, literally none of this is possible. So, I’d like to take a moment to thank everyone involved in the organization, particularly everyone involved in all of the detailed work of the IPTC. And I’d like to acknowledge and thank Andreas Gebhard, who is stepping down from the Board, and Johan Lindgren who has been voted on. Finally, I’d like to extend a special thanks to Michael Steidl, Managing Director of the IPTC, who is personally involved in almost every aspect of what we do. No doubt, next year will bring us many new and, often, unexpected challenges. I look forward to tackling with all of you, the IPTC. The IPTC has released a comprehensive set of sports controlled vocabularies as a supplement to the SportsML 3.0 sports-data interchange format, which was released in July 2016. These controlled vocabularies (CVs) are in the format of NewsML-G2 NewsML-G2 Knowledge Items plus RDF variants and are available on IPTC’s CV server at http://cv.iptc.org/newscodes. There are 113 CVs representing such core sports concerns such as event and player status, as well as specialized lists for 11 sports (basketball, soccer, rugby, American football, etc.) for statistics, player positions, scoring types, etc. “You consider things such as ‘What sort of results and stats do we need?’ and ‘How will our system handle interrupted matches?’ IPTC’s vocabularies can get you on your way because they properly define in a standard format almost all the terminology you would use in a sports application: Everything from “goals-scored” to a full enumeration of status codes for sports events,” Kelly said. “Terms defined in another format such as ODF can easily live beside SportsML terms – as well as any other proprietary format – so that an organisation can build a repository of knowledge of all the different sports-data formats,” Kelly said. Another advantage to the new SportsML 3.0 standard is that if new concepts are added to a sports vocabulary or modified in it, the data model and the XML Schema don’t change; they stay stable. It also supports all languages for the concept labels. IPTC’s SportsML 3.0 standard underwent a major upgrade from version 2.2, after 12 years of evolution since its first version. 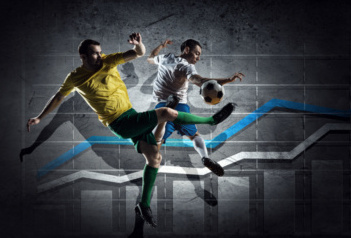 The new standard incorporates contribution from sports experts in 12 countries. Its flexible core covers all major sports and events in most news reporting. schedules, scores, standing, statistics, etc. many samples and tool support. Tool support for SportsML 3.0 includes 45 samples from 11 different sports and events, including both classic and SportsML-G2 examples, and both generic and specific examples. The vocabularies will be maintained by IPTC for future expansion; new sports and terms can be added. 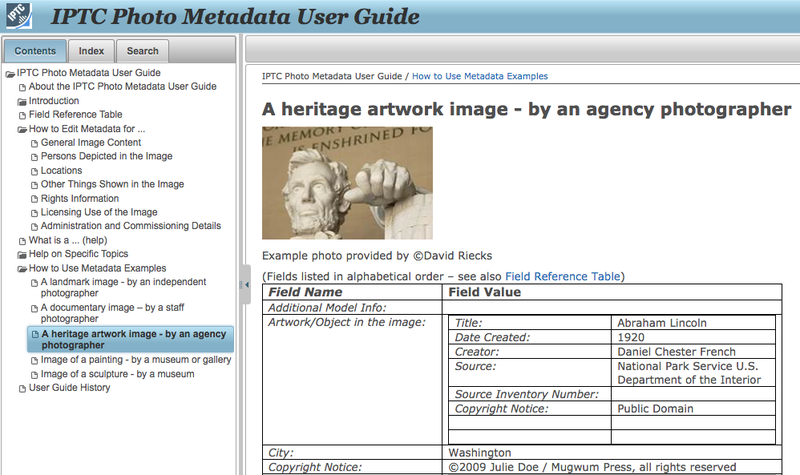 IPTC has published an updated Photo Metadata User Guide, for photographers, photo editors and professionals responsible for in-house metadata workflows, including digital asset management (DAM) systems. Based on IPTC’s widely used Photo Metadata Standard, the new User Guide contains practical information regarding photo metadata – from photographers familiarizing themselves with basics, to managers in related businesses who have a deeper understanding of implementation of standards and metadata. A key use of metadata is to describe the content of an image, location and rights information; the guide groups metadata fields according to information types. “The User Guide will help when deciding where metadata should be put about a certain topic, and what data should or should not be filled into a specific field,” said Michael Steidl, managing director of IPTC, and lead of IPTC’s Photo Metadata Working Group. IPTC sets the industry standard for administrative, descriptive, and copyright information about images. The IPTC Photo Metadata Standard, supported by many software applications, is the most widely used standard because of its universal acceptance among photographers, distributors, news organisations, archivists, and developers. The Photo Metadata User Guide walks users through the major groups of metadata, and for each IPTC field contained within each, it provides short guidelines on the use and semantics. The first section of the guide outlines practical use for a basic understanding of applying photo metadata, and may be most helpful to photographers becoming familiar with adding it to their photos for the first time. Photo metadata is key to protecting photographers’ images, including copyright and licensing information online. What is a minimum set of fields to be used? Five examples of metadata for independent, staff, and agency photographers plus images of artwork are given. Photo metadata is also essential for managing digital assets. Detailed and accurate descriptions about images ensure they can be easily and efficiently retrieved via search, by users or machine-readable code. This results in smoother workflow within organisations, more precise tracking of images, and potential for licensing opportunities. For professionals responsible for in-house photo metadata workflows and DAM systems, all IPTC metadata fields in the User Guide have been grouped by topic for easy reference: general description, persons, locations, things shown, rights and licensing information, and administrative data. The User Guide does not focus on the user interface of a specific software, and will be updated regularly to include more details. For questions about the Photo Metadata User Guide or about becoming involved in IPTC’s work: Contact us.